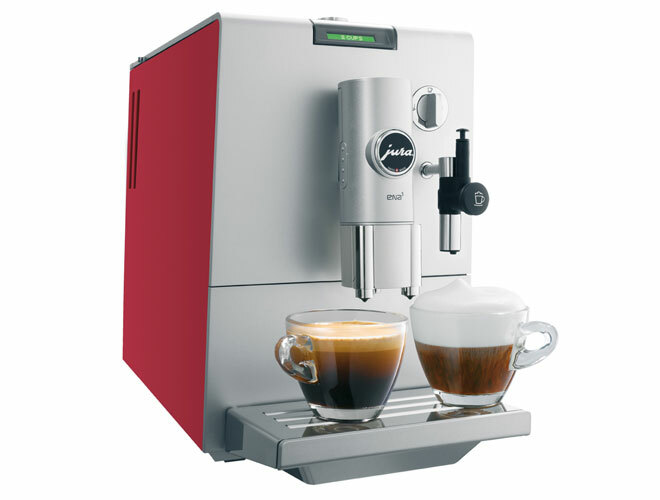 JURA is totally redefining the compact class with the slender fully automatic machine for espressos and coffee specialities. Now the solution has arrived: The new ENA from JURA is a slim 23.8 cm wide, which makes it easy to accommodate even when space is at a premium. The ENA is compact, young and easy to operate. This patented innovation disconnects the machine entirely from the electrical mains. This means ENA does not consume any energy in standby mode. 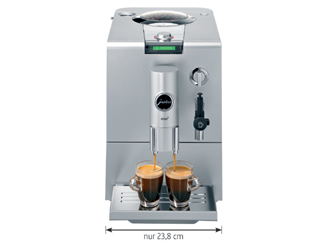 The coffee spout of the ENA5 can be set for preparing either one or two cups simply by turning it. It goes without saying that its height can also be adjusted smoothly from 65 to 111 mm in order to adapt to the height of cup. The ENA is equipped with a 3-colour plain text display. The colours display the status of the ENA. Turn, press, enjoy. No-one could wish for any more intuitive and straightforward operation. WE PRICE MATCH - If you see this machine cheaper or are offered a lower price in writing, let us know we will try and beat it call 0800 321 3357 or email. Free Extra Items From Red Monkey Coffee: What we give you on top of the standard items. Don't like some of these? No problem, they are flexible, apart from the delivery we can change any items for equivelent value items of your choice. Simply order as usual & list what you want to changed in the comments box on the order page (£2 leway) or freephone 0800 321 3357 or email. Plus pay by DEBIT CARD get an extra 227g bag of coffee!